Richard Owen Baker, 83, husband of Sylvia (Wagner) Baker of Skymont Road, passed away Saturday, October 27, 2018 at his home. Mr. Baker was born on September 28, 1935 in Weyers Cave, Virginia a son of the late Owen and Leannah (Early) Baker. 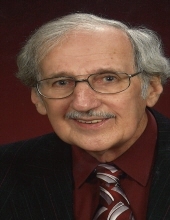 Richard was a member of Cherryvale United Methodist Church where he served as Chairman of the Board for nineteen years and held other various offices of the church. He was a 1953 graduate of Weyers Cave High School, a proud veteran of the United States Navy Reserves, and worked all of his life in the automotive field retiring in 2012 from Advance Auto Parts. Mr. Baker was a member of the Staunton Volunteer Fire Department for 55 years, serving in all offices of the department, he was past President of the Virginia State Firefighters Association and a member of the Augusta Lions Club. In addition to his parents Mr. Baker was preceded in death by a brother, Charles William “Bill” Baker. Surviving in addition to his wife of 46 years is a son, Danny Baker and his wife Susan of Staunton; three daughters, Robin Wilson and her husband “Jerry” of Verona, Christie Piner and her husband Keith of Staunton, and Denise Roberts and her husband James of Buena Vista; ten grandchildren, Heather, Megan, and Chris Baker, Tyler, Matt, and Jordan Wilson, Colin and Maddy Piner, Brandy Southard, and Brian Wade; eleven great-grandchildren; and a special friend, Bruce Wade. The family will receive friends from 6 to 8:00 p.m. Wednesday, October 31, 2018 in the Coffman Funeral Home and Crematory and the residence at other times. A celebration of life will be conducted 11:00 a.m. Thursday, November 1, 2018 in the Coffman Funeral Home Chapel by Rev. Clayton Payne. Honorary pallbearers will be Donnie Lynn, Gayland Davis, Larry Ward, and Jerry Reeves. It is suggested those desiring make memorial contributions to the Cherryvale United Methodist Church, 709 Cherry Hill Drive, Staunton, Virginia 24401. To send flowers or a remembrance gift to the family of Richard Owen Baker, please visit our Tribute Store. "Email Address" would like to share the life celebration of Richard Owen Baker. Click on the "link" to go to share a favorite memory or leave a condolence message for the family.